https://www.easyslots.com brings you a creative Chinese theme which projects itself through the reels and in the background. There is only one bonus round which might put many people off but there are rewarding features throughout. The theme isn’t overpowering but there is something inviting about its simplicity. Pragmatic play prides itself as being a leader in the online gaming industry through producing multi- product content which aims to deliver meaningful and creative themes to a large range of customers. So it is not just online slot games on the menu here but they are certainly known for creating entertainment and creativity. Further, they aim to develop mobile friendly software which has user experience at the forefront of the games in their fast growing library. The developers aim to invest in research and design in order to stand out of the crowd and carve a path for creating software that stands out in the online gaming industry. Play today and find many more games by pragmatic play as well as huge promo offers you can access! The symbols in this game consist of fans, dragons and drums. There are 5 reels with 3 rows and you need to try and land a winning combination, from left to right. The lowest paying symbols are the simplistic card values (9-Ace). The highest paying come in the form of masks and dragon heads so it’s a bit like being in downtown China town! The wild symbol is portrayed as a young Chinese lady with a beautifully pink fan and she will substitute for all other symbols in a winning combination – except from the scatter symbol. The Chinese lady also has the ability to offer 10x your original bet so you will certainly welcome her presence. Any win that contains at least one Wild symbol that substitutes for another symbol will be doubled. There are free spins up for grabs in this online slot game and these are triggered by collecting 3 or more scatter symbols on the reels. They can be anywhere on the screen and can appear at any time, so keep a good look out! 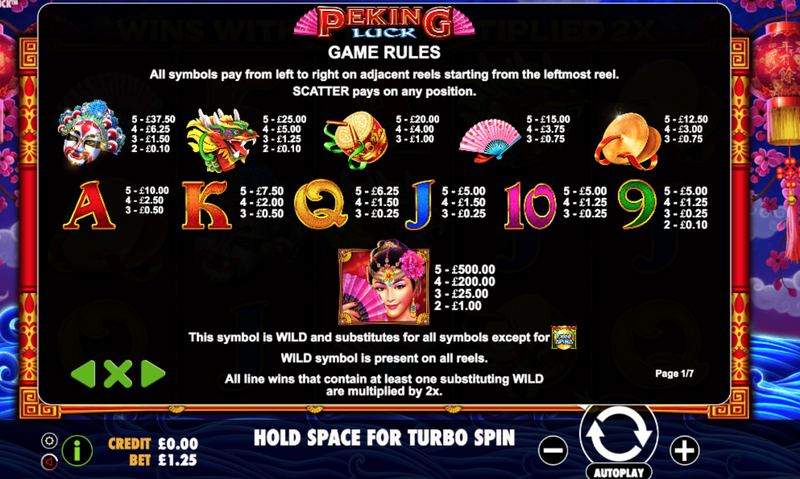 The symbol is a large golden gong with the words ‘free spins’ branded to an extent. The amount of free spins rewarded depends on which object you select on the screen. You do this twice and the value of the second object selected, chooses a multiplier value at random. This value is adopted throughout the free spins bonus. There is no limit as to how many free spins you can win in this game which makes it an inviting online spinning experience to many gamers out there. That said, it doesn’t mean your guaranteed to generate this as it’s not uncommon to only trigger a couple of spins round. The slot is fairly simplistic overall and is unlikely to have you jumping with excitement all night, but the game play is fair. The free spin features are good and offer the game something innovative. So, get ready to escape on an oriental adventure and hope to meet the Chinese lady on the reels! 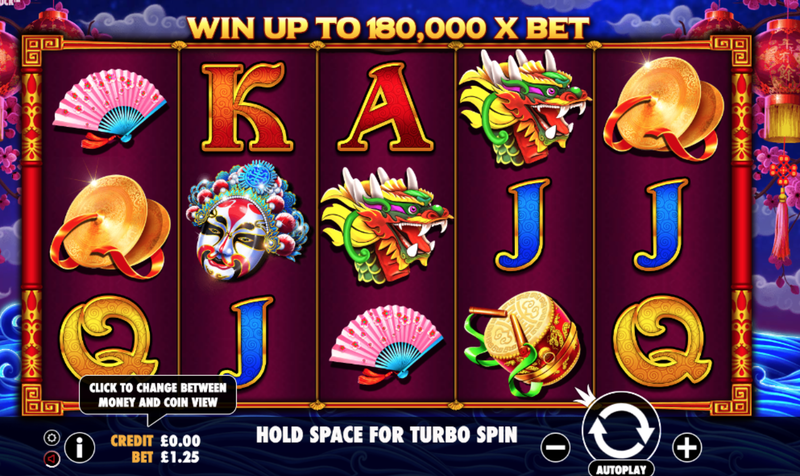 Come and discover more online slot games like this.